Corradi is the expert when it comes to making an outdoor space comfortable for many months a year. Pergotenda® and bioclimatic pergolas side closures, as well as wooden or ceramic platforms, lighting and complements become critical elements, not just simple details. Corradi has developed a wide selection of accessories to meet your personal taste. 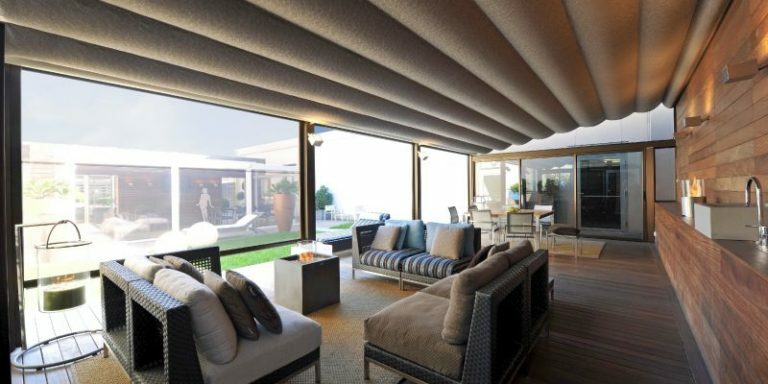 From modular and multi-function decking to false ceilings, curtains and innovative lighting kits that can be used as part of the Pergotenda® or as standalone systems, we make your outdoors even more comfortable and elegant.